Alison joined NatCen in 1991, after completing an M.Phil. in Sociology at Nuffield College, Oxford. Her core areas of research are social, political and moral attitudes and values. As Head of Society and Social Change, Alison manages the team responsible for the British Social Attitudes Survey series. These annual surveys focus on people's attitudes towards a wide range of issues, and the results form the basis of an annual book, published by Sage. 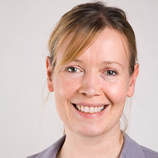 Alison is closely involved with the International Social Survey Programme (ISSP), a cross-national study of social attitudes, and is the ESRC-funded UK Co-ordinator for the 2002 to 2012 rounds of the European Social Survey. She makes regular radio and television contributions concerning social trends, and was a member of the 2003 Fabian Society Commission on the Future of the Monarchy.